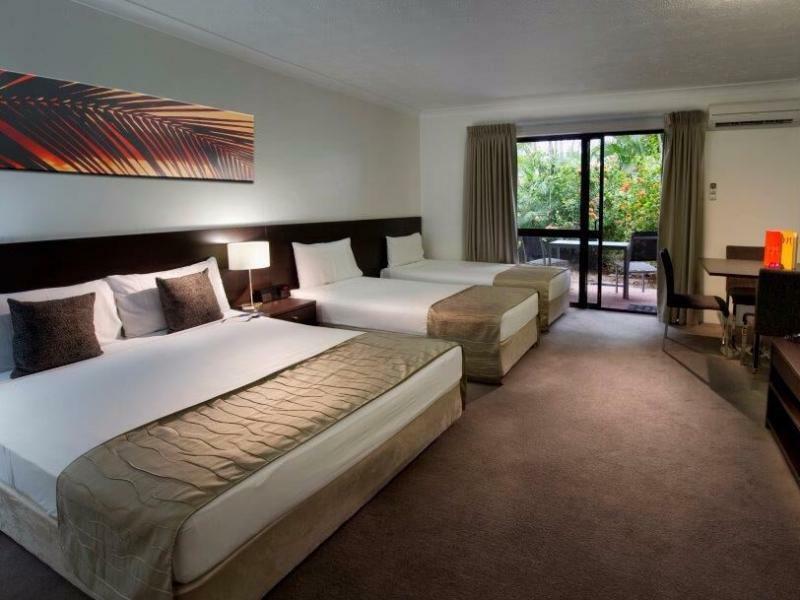 يقع فندق Mercure Townsville Hotel، المصمم ليناسب كل الضيوف سواء كانوا من رجال الأعمال أو السياح، في مكان ممتاز في أحد أكثر المناطق تفضيلاً في منطقة سنترال بارك. يمكن من هنا للضيوف الاستمتاع بسهولة الوصول إلى كل ما تقدمه هذه المدينة النابضة بالحياة. يضفي محيط الفندق اللطيف وقربه من Renegade Handmade Gift Shop, مطار تاونسفيل, معبد بيلابونج سحراً خاصاً على هذا الفندق. يمكن للنزلاء الاختيار من ضمن مجموعة من الغرف المصممة بعناية لتعكس جواً من الراحة، والتي يتجاوز عددها 201. صممت خدمات الاستجمام في الفندق والتي تتضمن حمام سباحة خارجي, سبا, ملعب تنس, بلياردو, حديقة لمساعدتك على الاسترخاء والراحة. 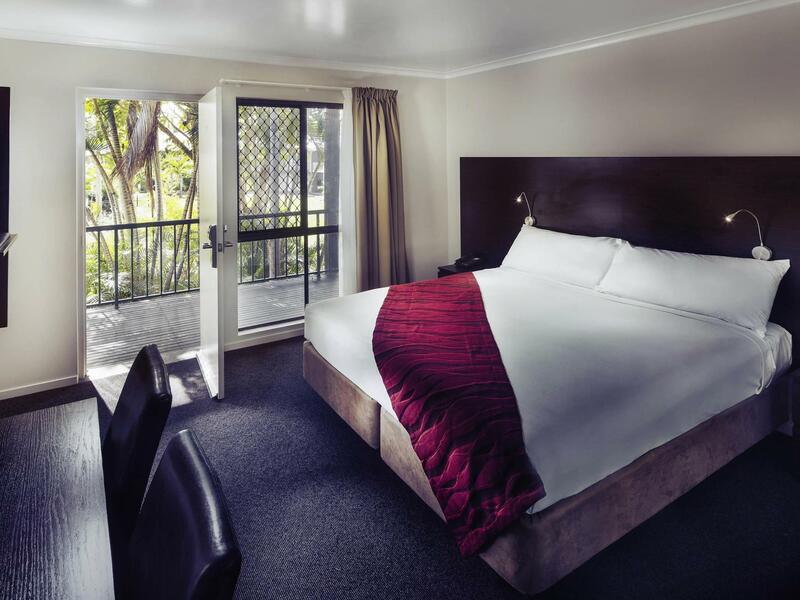 اكتشف مزيجاً ساحراً من الخدمة الاحترافية والخيارات الواسعة من وسائل الراحة والمتعة في Mercure Townsville Hotel. We stayed there for one night. The room was very basic, the bathroom was ridiculously small. If one person was using the toilet, no one else could be in there, very cramped! The restaurant food was sub standard for what you pay. The bar staff were not very pleasant or welcoming. The waitress at dinner was very helpful and provided good service. 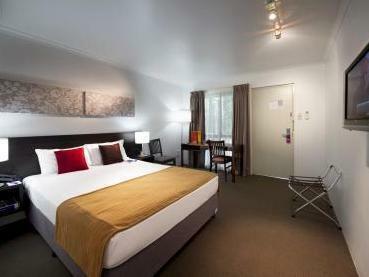 Overall disappointing, we have been happy with other Mercure accommodation in the past. Location is great - close to shopping centre and take away food outlets. Pool is great. Our air conditioner was very noisy and then the remote on it died and the heat went through the roof. At midnight when we got back to room it was unbearable - reception staff member came over straight away with a new remote which solved the temperature problem. I was not expecting much but very wonderfully surprised at how beautiful its surroundings were and the rooms were spacious and clean. We loved hanging out by the large pool. Dinner was also very delicious- the roast rump for two is highly recommended! The mojito on the other hand needs improvement. A bit sad we only stayed one night. A great team here but the rooms are really tired and the bathrooms are dreadful. Cracked tiles everywhere with mould the sink was heavily cracked and very unhygienic, I would not stay in this room again. the lovely staff, restaurant and delicious food. I travelled solo to the hotel, meeting u my my brother from the UK and his family, my sister and our parents joined us, great venue, very relaxing. I didn't spend a lot of time in my room but felt it was 4 star, more three stars. The room was tidy, and cleanish there were more mould on the curtain, a large amount of dust, webs behind the TV on the wall and the grout in the bathroom was also moulding. The saving grace are the staff, from front desk, the restaurant and the cleaners to a person they were lovely. 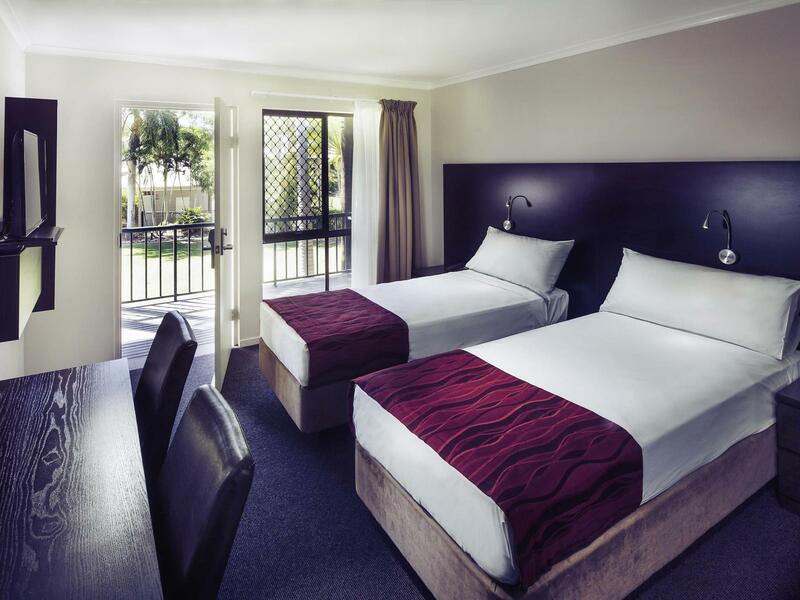 My wife and I thoroughly enjoyed our single night stay at the Mercure Townsville. We used the pool straight away when we got there which was very nice and had the buffet breakfast in the morning which was also excellent. 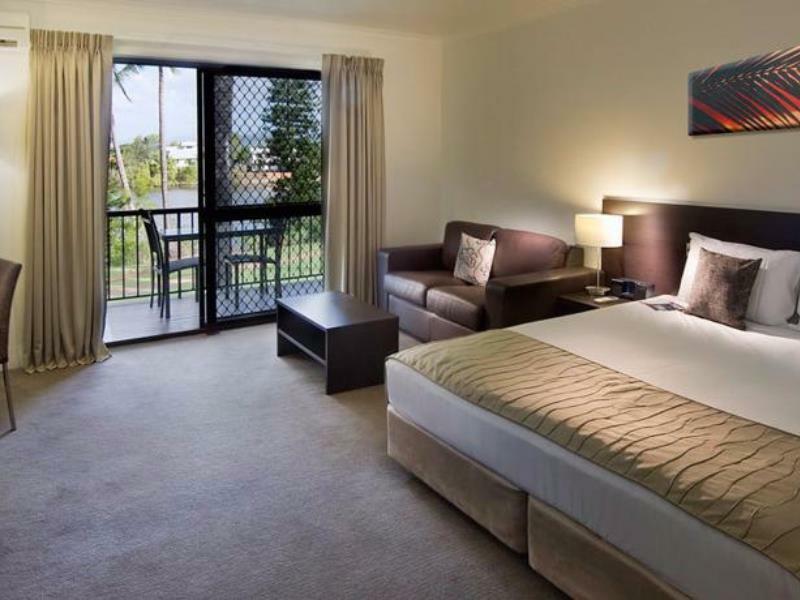 The location is in central Townsville and is close to all the local attractions. The staff were also very helpful in giving us directions when we set off for our drive. We would definitely come back. My stay was great. I felt safe and secure being tucked away in the resort like surroundings. Unfortunately due to my commitments I was unable to enjoy the pool or restaurant but it looked lovely. 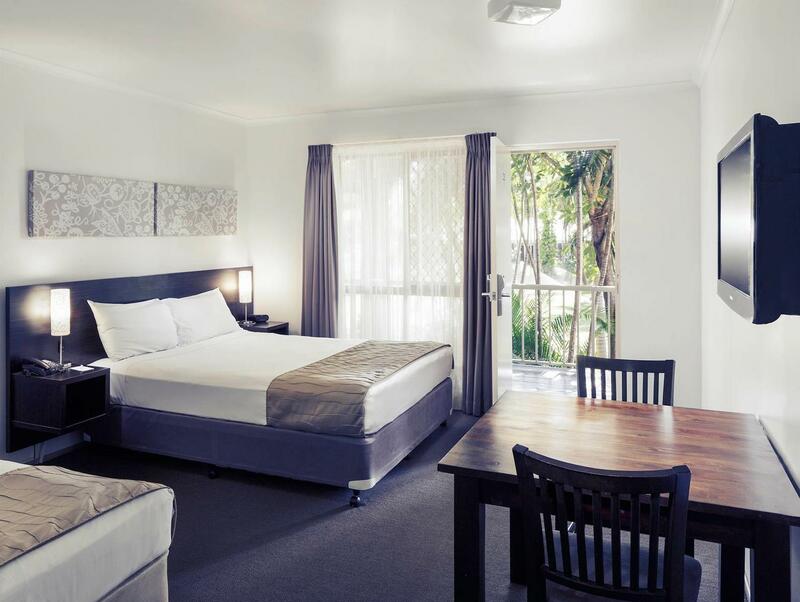 I will certainly stay again on my next trip to Townsville and will recommend it to my friends. The hotel needs to invest in new bathroom towels immediately. It would be great if the hotel could provide proper luggage trolleys Free WiFi would be an incentive to stay longer. The room we had this time was smaller than our last stay. This was a bit disappointing considering there were 2 of us. The staff are very friendly. 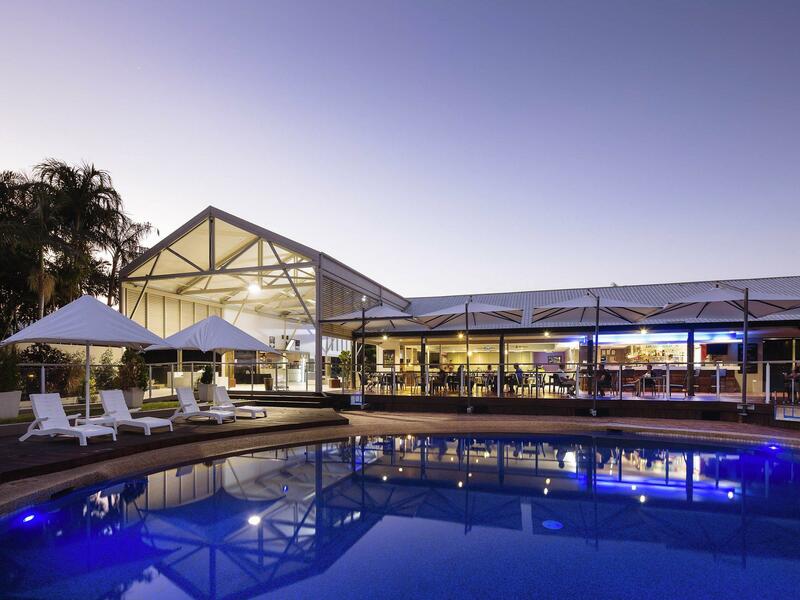 I love this hotel and would recommend to anyone, families, workers, professional, holiday seekers and have been staying here for over 14 years including through the massive cyclone Yassi. The gardens are beautiful and although its just out of town the location is lovely on a lake and near the airport, also next to a shopping centre. Large palms abound and the staff are fabulous, including an obvious increase in indigenous staff which is just great to see. The food is good and the service is great. love this place. The best 3 things about the Mercure Inn Townsville were its resort style pools and gardens, and it's proximity to affordable dining options and shops. Our stay at the. Mercure Inn was pleasant. The room, while dated, was clean, quiet and comfortable. The Mercure was centrally located to the areas we wanted to see. The only downside was the apparent lack of WiFi in the rooms. My stay was wonderful, the staff were very attentive, the grounds were beautifully maintained, the restaurant and bar over looked the beautiful pool area, the rooms were very comfortable and were serviced daily (which a lot of Motels are not doing anymore). Friendly and helpful staff. Hotel is a bit run down and could use a refresh. There are plenty of shops and eateries nearby but not much public transport. The shower recess needs improving. The water from the shower spread half to the bathroom door.